“Tottenham Green Market, our Saturday market in Tottenham, is back EVERY Saturday from 15 November 10am to 3pm. Our new venue is the Tottenham Chances car park, 399 High Rd N17 6QN. Chances is three or four bus stops / ten minutes walk, from Seven Sisters, past the Monument, opposite the police station. We’ve got an amazing lineup incl. Wildes Cheese, Craving Coffee, L’Atypique Wines, and lots more street food, cakes, charcuterie, bread, preserves and produce. We love Tottenham and its passionate community spirit! 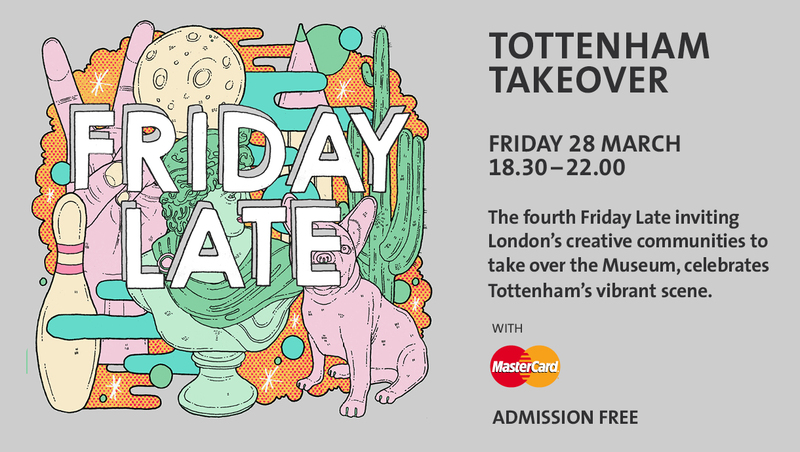 We want to celebrate it with a Team Tottenham party in our cafe at The Mill Co. Project. We’ll have our good friends from Redemption Brewery as guests at for Meet the Brewer, with a chance to learn more about and sample their beers. Our menu that night will celebrate all things Tottenham, with dishes being made from Wildes Cheese, Flourish Bakery and Crop Drop Vegetables. £5 entry, with proceeds going to The Markfield Project, a community centre in Markfield Park that promotes dignity, choice, independence and community inclusion of Disabled people and their families. “It is with great sadness that we announce that tomorrow, August 8th, will be Filling the Gap’s last café for a while. We’ll still be at the big Newlon summer party on Saturday at Hale Village, but then Filling the Gap will be pressing pause on the community café for a while. Renée and I will continue to cater and teach our ‘Cooking on a Budget’ course, but we have decided to step away from our application for the Hub and our Saturday pop ups.” Read more. see Filling the Gap website. Renee and Kate are two locals with young families who said no to unhealthy fast food and set up their own café, Filling the Gap N17, serving healthy, homemade and affordable food. It ran on Fridays till August 8th. Hope to see it back soon. If you cast your minds back to yesteryear, we ran a series of animation workshops as part of the Tottenham World Film Club, which a number of you took part in. We’re chuffed to say that these workshop films are being screened at this Friday’s V&A Late as part of their Tottenham Takeover event! So a big hand to everybody who got involved in the making of these films! Swing by, say hi, see the fruits of your creative labour (or your mate’s labour?) and celebrate all things Tottenham.